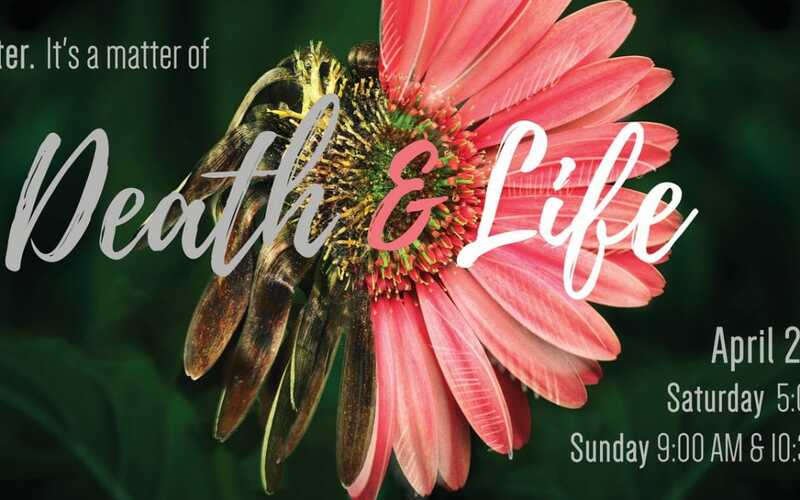 Our theme for Easter will be Death & Life, a reminder that Jesus rose again from the dead in order to bring us to God, the source of eternal life. I will use 1 Peter 3:18 as my text, “For Christ also died for sins once for all, the just for the unjust, in order to bring you to God, having been put to death in the flesh, but made alive by the Spirit.” The theme of Jesus’ transfer from death to life is illustrated by Noah’s ark safely passing through the waters of judgment, which is also illustrative of the Christian ordinance of baptism. Aspen Ridge will celebrate baptisms during our Easter weekend services, a reminder of our union with Christ’s victory over death and resurrection to new life. If you would like to participate in these baptisms, you are asked to attend an orientation meeting. We will have two more baptism orientations meetings on Saturday, April 6 at 4:00 PM, and Sunday, April 7 at 6:00 PM.